Let’s not deny it; baking with kids can be stressful. We may have the image of happy faces patiently helping you decorate cupcakes but in reality it usually ends up with frustration all around & floury hand prints on your bum! But here at Baking with Granny we don’t just provide you with recipe inspiration to get you baking with your wee ones, we also have the experience & know-how to not only make it bearable but also fun. So here are our top tips for baking with kids. This should go for any time you’re baking, really. 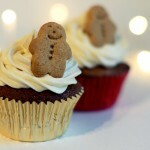 Knowing what the next step of the recipe is in advance will make the entire process a lot less stressful & predictable. So read your recipe, then read it again before even starting. It is also a good way to suss out what recipes are age-appropriate and which are better left for after bedtime! In other words, keep it simple & age appropriate. It’s no fun when things go wrong so try to be sensible with abilities. 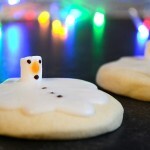 Something such as Melted Snowman biscuits is a nice easy recipe for kids to get involved with and they’re lots of fun to decorate too. And if you’re really not feeling the idea of getting eggshells on your ceiling, you could always opt for doing the baking yourself and just letting the kids lose on the decorating – they’ll love it either way! We’re all for encouraging greatness from kids but lets not expect them to be single handed-ly whipping up macarons just yet. Or look at it this way, it’s more about the experience than it is about the final result. Sure, there might be some bogey’s in the batter which would make Mary Berry wince at the thought. But look at that floury, sticky smile – that’s what baking with kids is all about! 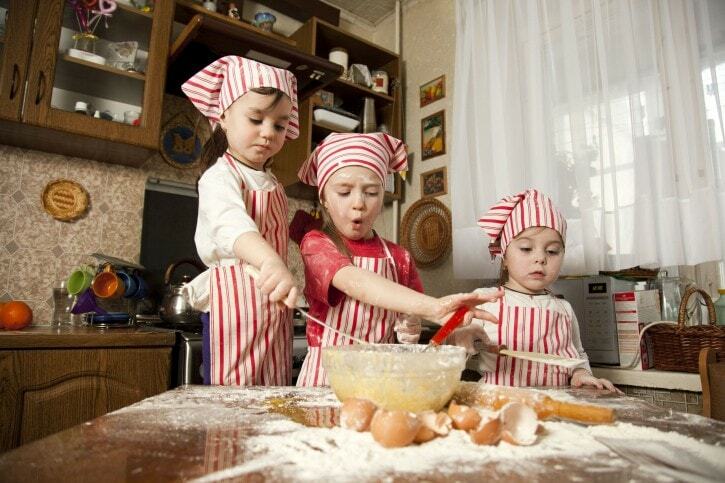 Do you have any of your own tops tips for baking with kids? The mess drives me mad too, especially as I like to clean as we go but J always has other ideas! But I try to remember that at the end of the day the counters can be wiped & the clothes can be washed! And sometimes it’s worth it just to have him entertained for a little while! Thanks, Emma. It was always something I looked forward to doing with The Boys having done it with Granny growing up too.